Mandalas are used to connect the spirit, offering symbols found in nature, helping discover the inner self, acquiring a sense of wonder and providing inspiration. The circle of a mandala represents wholeness and unity. 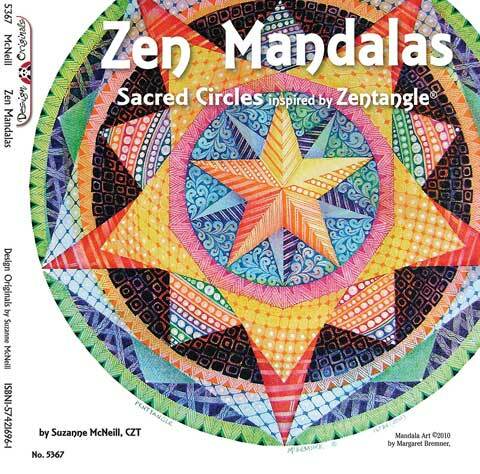 This book presents tips and techniques for creating these sacred circles using an easy-to-learn creative art form that uses structured patterns to create beautiful drawings, Zentangle. Zentangle is a relaxing process that brings the mind and spirit into focus through the repetition of simple shapes. This book presents the underlying philosophy of the mandala and how it can expand the message in your drawings as you investigate your feelings and discover your hidden potential.